A son who is keen to go abroad in pursuit of his dreams. A family who fears the empty nest syndrome. Londanalli Lambodhara narrates this emotional tale with doses of satire. With a subject and theme that stand out, the director manoeuvers the story into a light-hearted direction. Better known as 'a late latif', Lambodhara (Santhosh) aspires to go to London. A strong believer of astrology and a follower of guru Ekadantha (Sampath Raj), a newspaper columnist, Lambodhara decides to meet him personally when the newspaper stops the column. 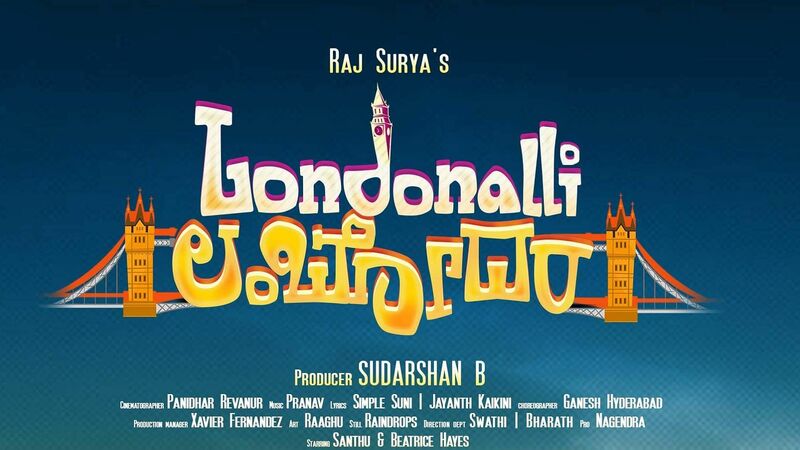 Will Ekadantha come to Lambodhara’s rescue in finding a suitable job in London? This forms one part of the story, which also highlights the separation pangs between parents and children. The other part of the story is about him being framed as a terrorist and how he proves his innocence. While director Raj Surya uses humour generously in the first half, he loses track in the second half where, in a bid to stretch the film’s length, he repeats scenes. All the viewers are left with are unnecessary gags by Sadhu Kokila. Sampath Kumar’s role as a modern day astrologer stands out. There’s an equally good act by Achyuth Kumar, who plays the role of a father. For being a first-time actor, Santhosh has picked up the right subject. But the newcomer has lot of room to work on his body language, particularly expressions. In her short role, Sruthi, who plays Reshmi, a childhood friend of Lambodhara, manages to impress. An extension of this particular character would have added more value to the film. The rest of the characters, like Sudha Belawadi and Vijaylakshmi Upadhay, provide good support. Medleys by Pranav Iyengar are simple. But there’s not much work by cinematographer Phanidhar Revanu, even though he had the opportunity to shoot in London. Special mention to the dialogue writer, Prashanth Rajappa, who keeps the audience smiling with his good one-liners.